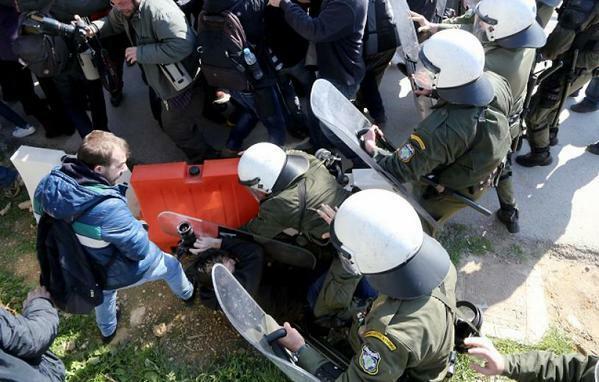 Greece: another refugee dies in Police custody! Mohamed Kamara from Guinea, 21-years old, is one more refugee who died in Police custody, due to lack of health care. He came to Greece in 2012. He attempted to leave through Patras port but was arrested and imprisoned for eight months in Corinth detention center. According to his friends he applied for asylum but was given a negative answer in mid January 2015. After that he was arrested again on February 7 and on February 9 he was transferred to Kifissia Police Station in Athens. There he kept complaining about his health. Finally, on February 20, he was move in a comatose state to a hospital where he died. According to information he had been in almost comatose state for 24 hours before he was transfered to a hospital! The European Commission against Racism and Intolerance (ECRI) today published its fifth report on Greece analysing new developments and outstanding issues, and providing recommendations to the authorities. 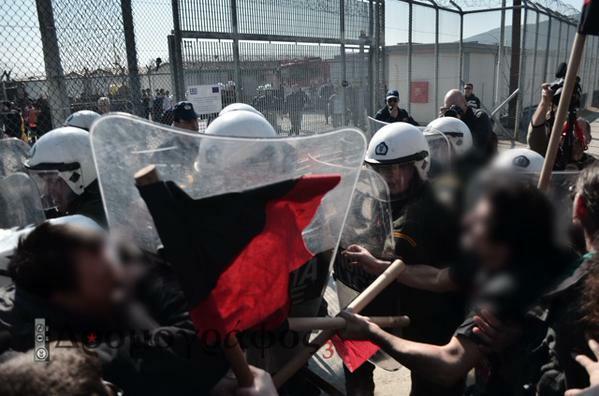 On Saturday, February 21 there were clashes with riot police, as some 250 demonstrators managed to get for a while inside Amygdaleza detention center. 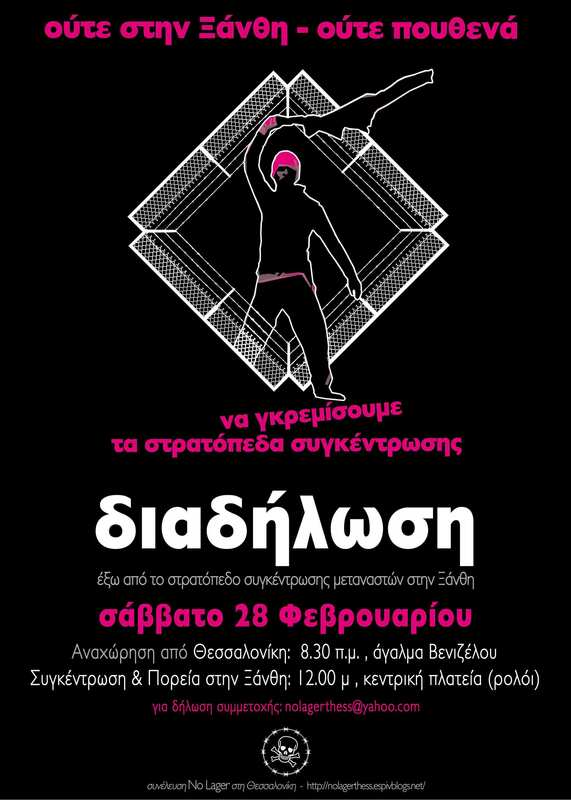 There are demonstrations scheduled for next Saturday at immigrants’ detention centers at Xanthi, Hellinikon etc. Shut down detention centers now! The following was written on December 2013: “Police stations throughout the country have turned into ‘warehouses for human souls’, the conditions have been described as tragic, and as violating both international rules and Greek laws. The E.U. 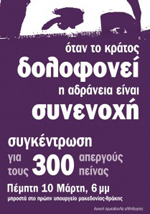 has always offered help, but the Greek State has not been willing to fully exploit it. Now the country needs to make the most of the 230 million Euros the E.U. is offering. It would be ‘desirable’ that this money be used to create modern hosting facilities, with distinctive places for criminals and the undocumented, regular access to a courtyard, natural lighting, proper food and regular medical checks. In a nowadays unacceptable status, health and safety regulations are not respected, and we often have unacceptable and arbitrary police behavior. This is exactly what is expected to happen when the State itself stacks human souls for a long time in inappropriate places, without any interest to satisfy the minimum human needs“. 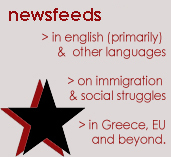 Is this part of the proposals on the “issue of immigration” of a progressive Greek political party? No, the above words were spoken on December 12, 2013, by the President of the Panhellenic Federation of Police Officers in the 12th National Roundtable Against Discrimination. The “police unionist” also proposed hiring immigrants in the police force, adding that “…it might be useful to try to record the situation and demands of the thousands of foreigners already detained in detention centers. To make a survey to see how many they actually are, as well as why and where they want to live. Instead of trying to persuade them to return to their country, wouldn’t it be easier to guide them towards a better opportunity in another European country where already other members of their families are living?“. Prokopis Pavlopoulos was elected as the new President of Greece, despite rumors that Syriza would propose Dimitris Avramopoulos for president. Pavlopoulos was Minister of the Interior and Public Order during December 2008 riots in Greece. 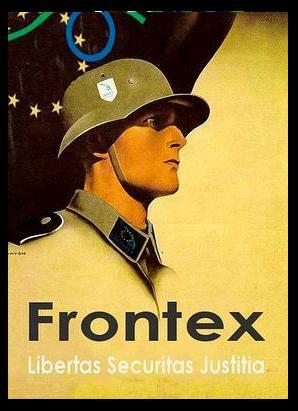 Improving border control by boosting the effectiveness of the border agency Frontex and by pooling resources from EU countries, while facilitating access for those who have a legitimate interest in entering the EU. Promoting a new European policy on regular migration to help the EU address skill shortages inter alia by reviewing the ‘Blue Card’ legislation. Making sure the common European asylum system is fully implemented, while developing a strategy to improve the response to emergency situations, with a focus on solidarity and cooperation with non-EU countries. Dealing with irregular migration, including by ensuring smooth return, in cooperation with non-EU Member States. A demonstration has all ready taken place outside Amygdaleza on Sunday 15th, another one is organized today (Tuesday 17th) in the city of Patras and there are three more scheduled for Thursday 19th: in Thessaloniki, Ioannina and Athens. 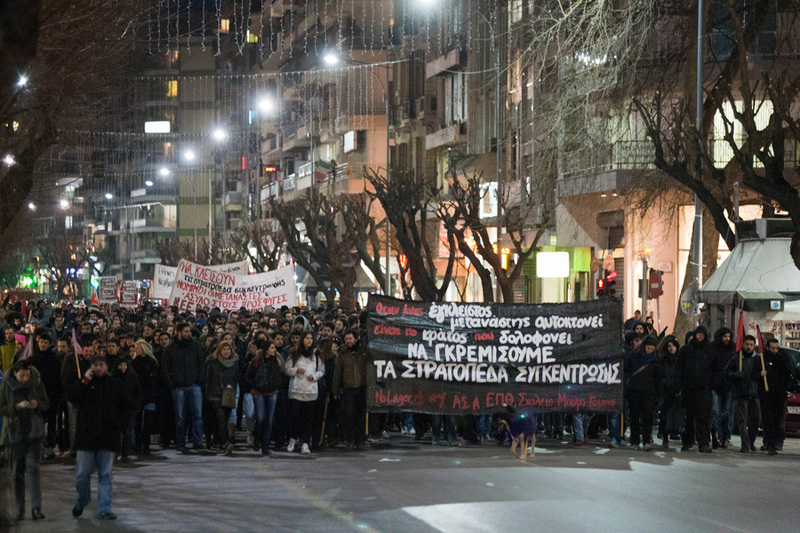 Οn Saturday the 14th, in Thessaloniki, around midnight, 250 people marched towards the central police station and threw red paint-bombs to the entrance. Alternate Civil Protection Minister Yiannis Panousis said on Monday that the Radical Left Coalition (SYRIZA) government is closing the controversial migrant detention center at Amygdalezi in about 100 days. The statement was made following a meeting between mr. Panousis and Alternate Migrant Policy Minister Tasia Christodoulopoulou. The government is planning to speed up the opening of three new hospitality centers in the Attica region so that migrants can be hosted in humane living conditions soon, especially after the suicide of a 28-year-old Pakistani inmate of Amygdaleza who prefered death to the conditions at the camp. Panousis said that the new centers will operate as “probation” homes. A committee will examine the files of those held at Amygdaleza to determine whether they are unaccompanied minors, sick people, asylum seekers or other categories in order to determine where to place them. Panousis said that Amygdaleza would not be turned into an open hospitality center because it also houses the Police Academy. Clearer plans for the future of Amygdaleza and Greek migration policy is to be announced on Tuesday by the Ministry of Interior. Nothing was mentioned about the other detention centers, spread throughout Greece. Two immigrants’ suicides! Revolt in Amygdaleza! An immigrant that was held for 18 months, then released, then arrested again, committed suicide today in Amygdaleza detention center! There is a revolt taking place right now! Another suicide took place in a Thessaloniki police station and went public today! A 23 years-old Afghan who was imprisoned in Amygdaleza died because in the infamous detention center there is no doctor and health care is left to be poorly covered from charities and volunteer doctors and organizations. According to the police, Sayed Mehdi Ahbari felt sick on February 4 in the evening and was taken to hospital. He was returned to Amygdaleza the morning of February 5. On February 8 he was transferred again to hospital and died at Tuesday noon. The authorities expect the results of the autopsy.